Have you ever wanted to just connect a card reader to your computer, swipe a customers card and quickly take a payment without having to deal with over priced over complicated software? Wouldn’t it be nice if you could do that and have the transaction be encrypted at the swiper and not have to worry about computer viruses on your computer getting a hold of your customers credit card data? With Tranzcrypt.com you can have exactly that with SwIPe and Merchant Defender Point To Point Encryption. How does the Retail SwIPe Software work? The retail SwIPe software is installed on your PC. It runs in the background and communicates with the Tranzcrypt.com Payment Gateway. The software is only visible when you swipe a card, so you can run your other computer programs just like you did before and when you swipe a card, it automatically pulls up the swipe software screen. That is it! The gateway will automatically settle the batches for you at the end of the day. By logging in to the gateway you are able to run reports, print reports, save as Excel files, or QuickBooks® importable files. Also available is our QuickBooks® SyncPay feature to run transactions from withing QuickBooks®. How does Tranzcrypt.com’s point to point encryption work? 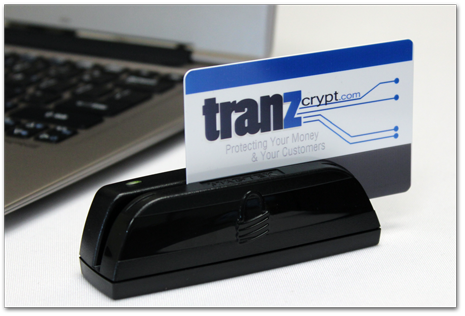 When you utilize Tranzcrypt.com’s encrypted usb card readers, next generation signature capture devices, or key entry devices your customers sensitive card information is encrypted at the device before it even reaches your computer. This ensures that even if your computer’s been compromised with a virus, malware, or key logger all they can steal is encrypted info that without the encryption key is virtually impossible to use. So from the time the card is swiped it is encrypted. The secure encrypted data is then sent through your computer and internet connection to our secure servers where the encrypted card data is decrypted and and processed through your merchant services account. 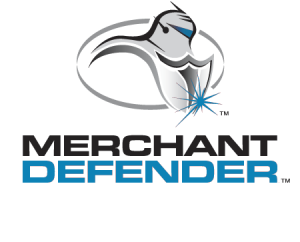 Learn more about our Merchant Defender Point To Point Encryption.